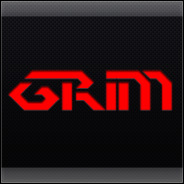 Hey Grim ....... when are you going to release that badass HUD Red theme for Windows 8 / 8.1? Thanks, I can finally move the details pane to bottom without messing with critical system files than can mess with other things. Also good to get drives back in groups. Thanks for sharing your tool, Tihiy. It's pretty nice. But is there any other name nicer for it? Would like to see something laconic on the title bar when opening it. PS. Never notice before that I can drag the detail pane to change its size! Cool to see the pane around again but decide not show it for sure! My WinRAR 5.00 64-bit crashes silently with OldNewExplorer64.dll registered as shown in Problem Reports. As soon as it is unregistered, it runs correctly. Can repro? Update: WinRAR issue fixed in latest build. Thanks. At the moment, the tweaks I use are 'Use command bar instead of Ribbon' and 'Show details pane at bottom'. Don't use Classic grouping as it adds a scrollbar to This PC at my resolution, I want to avoid scrolling . Also, I use Libraries without hiding all folders from This PC, but do hide select folders using Winaero's This PC Tweaker. And I use the status bar from Classic Shell as it shows more useful stuff. But the 2 tweaks to disable ribbon and move the details pane are absolutely invaluable. The name is very fitting for the product as it allows you to choose a mix of old vs new functionalities. I couldn't run it from the inside of "Program Files". Why?. It also couldn't be deleted after I uninstalled it while Firefox still opened. Why? sorry for many questions. I hope someone could answer them for me. Bitdefender detects it as a virus! Hmm I do not get all the issues. AV may see it as a false positive, report it to your vendor to get it whitelisted. WinRAR does not crash for me. I extracted it to " C:\OldNewExplorer " then ran the install file and accepted the system warning then it worked instantly. I also keep the ribbon because I like it. I don't let it display the detail pane. The area showing folders and items will be narrow if both the ribbon and the detail pane are enabled. Tihiy, how about just calling this tool "Explorer Tweaker"? When I change my visual style,IE will crash,but if I unregister OldNewExplorer,the problem will not appear. PS:the software cannot run in program files,I think you should modify regsvr32 DLL to regsvr32 "DLL"
I found a bug on Use libraires ; hide folders from this PC. When you explorer a folder in Downloads folder. The Downloads folder reappers under This PC. Mega props to you Tihiy. With your two small programs you have made the Windows 8 family more user friendly, more enjoyable, and more appealing than the entirety of the billion dollar corporation that developed it. That's not a bug with this program, it happens without using this as well, if you use the registry trick to remove those folders the same thing happens, it goes after you close the folder again anyway. So how can I do for these folders do not reappear ? It's very annoying that they are hidden and reappear without being asked.